Louis Anthony Arens,67 years old of Remsen, Iowa, passed away on Friday Jan. 18, 2019, at St. Mary’s Hospital in Rochester, MN. Lou was born Jan. 31, 1951, in LeMars, IA, the son of Oswald & Doris (Schnepf) Arens. He was raised on the farm east of Remsen. He received his education at St. Mary’s High School graduating in 1969. He then served his country in the Air National Guard. On Nov. 3, 1973 he married Peg Schroeder at St.Mary’s Catholic Church in Remsen. The couple made their home on a farm west of Remsen. He dedicated himself to a life of farming and also worked as a truck driver to Arens Trucking in Remsen. Lou was a devout and active member of St. Mary’s Catholic Church. 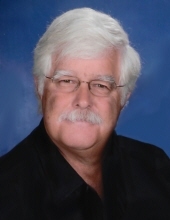 He loved fishing, bowling and going on motorcycle trips with his wife and friends. He had a strong faith and a deep love for his family. Survivors include: his wife Peg of Remsen, his children, Stacie (Brett) Hays of Sioux City, IA, Greg (Abby) Arens of Remsen, Patrick (Carrie) Arens of Ida Grove, IA, Mollie (Timothy) Klein of Remsen, Megan (Nick) Pick of Remsen, 13 grandchildren, 2 great-grandchildren; 4 brothers, Joe (Betty) Arens, Jerry (Monica) Arens all of Remsen, Phil (LeAnn) Arens of LeMars, IA and Rob (Pam) Arens of Remsen; one sister, Ann (Dan) McManus of Dakota Dunes, SD; 1 brother-in-law, Robert Schroeder of LeMars, IA; 9 sisters-in-law, Marlene (Jerry) Harpenau, Linda Schroeder, Diane (Jerry) Vaske, Nancy (Robert “Butch”) Tentinger, Pam (Mark) Poeckes, Suzanne Steichen all of Remsen, Janice Wurth, Joyce (Dan) Ruden both of LeMars, IA, Judy (Ron) Pottebaum of Pierson, IA; numerous nieces and nephews. Preceded by, his parents, his mother and father-in-law, Dominic & Valeria Schroeder,and his brother James Arens, sisters-in-law Judy (Treinen) Arens and Judy (Agena) Arens, brothers-in-law, Jerry Wurth, Richard Schroeder and Michael Schroeder, sister-in-law, Margie Schroeder, nieces, Angie Wurth & Mary Freking. Casket bearers will be Chris Arens, Jeff Arens, Matt Arens, Tyler Arens, Justin Tentinger and Matt Schnepf. To send flowers or a remembrance gift to the family of Louis Anthony Arens, please visit our Tribute Store. Visitation with family present will be 4-7 p.m. Tuesday. There will be a parish rosary and vigil prayer service all at 5 p.m. at Fisch Funeral Home & Monument in Remsen. Visitation will resume Wednesday from 9-10 a.m. at the funeral home. "Email Address" would like to share the life celebration of Louis Anthony Arens. Click on the "link" to go to share a favorite memory or leave a condolence message for the family.